It's Friday! Finally, am I right?! 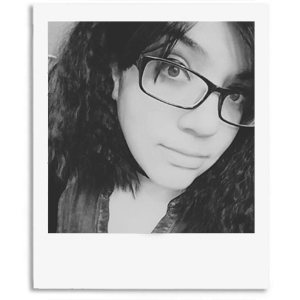 It feels like this week has been slow going, but I'm glad I stuck through it and didn't call out sick. Heaven knows I wanted to with my back hurting. Unfortunately, I'm having to postpone my doctor visit for another week. To be frank, I'm a quivering chicken and refuse to go alone. So it's one more week until either my best friend takes me or my hubs comes back from out of town. Here's hoping that my polish stash keeps me occupied enough, haha. For today, I have the remaining polishes from the exquisite Birthstone Collection by CDB Lacquer. 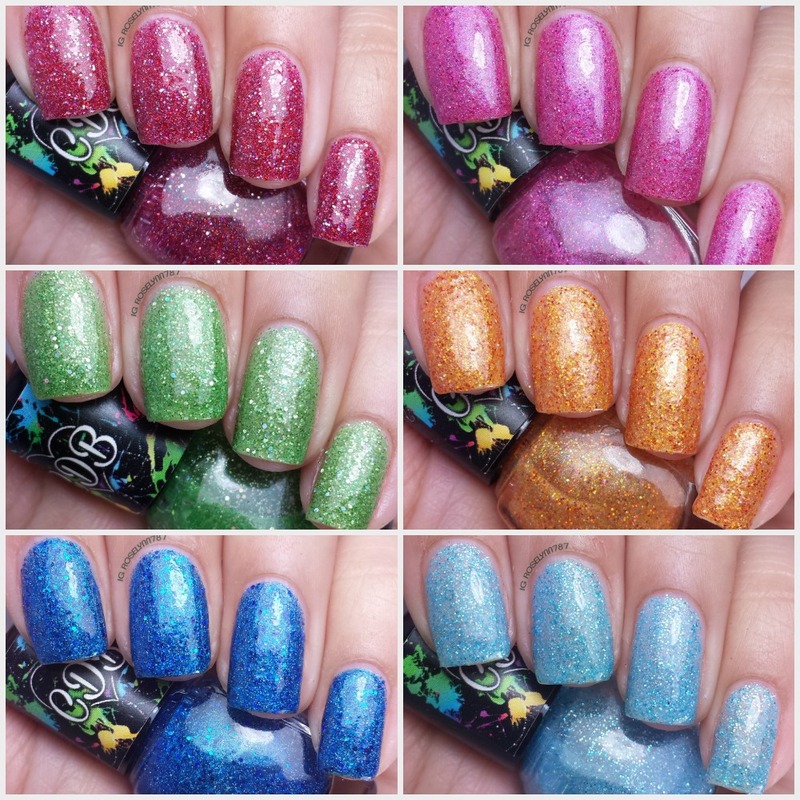 Time to take a look at the swatches for July through December! The Birthstone Collection by CDB Lacquer will be released today Friday January 23rd. Yesterday afternoon I posted the first half of the collection that covered January through June, if you want to check that out. 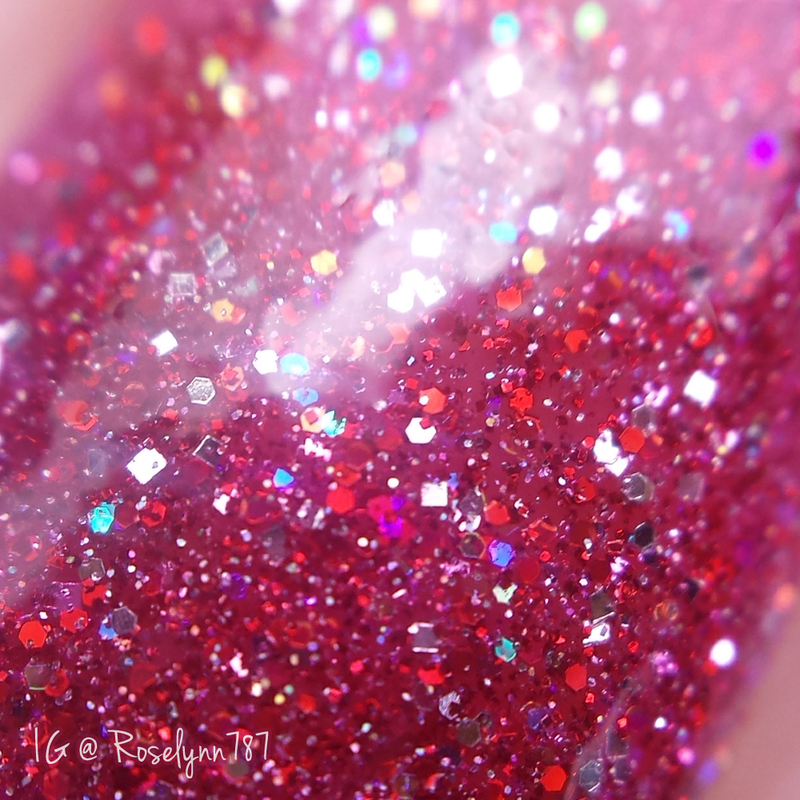 July is a pinish red glitterbomb, inspired by the July stone Ruby. Of course, when I first heard of this collection I had to look at my own birth month first. I'm not disappointed, to say the least. More like over the moon excited with how gorgeous this looks! Ruby FTW! Formula and consistency are perfect, not too thin nor too thick. Also layers itself very easily despite it's glitter heavy demeanor. For these swatches, I applied two thin coats and sealed it with a thick top coat. 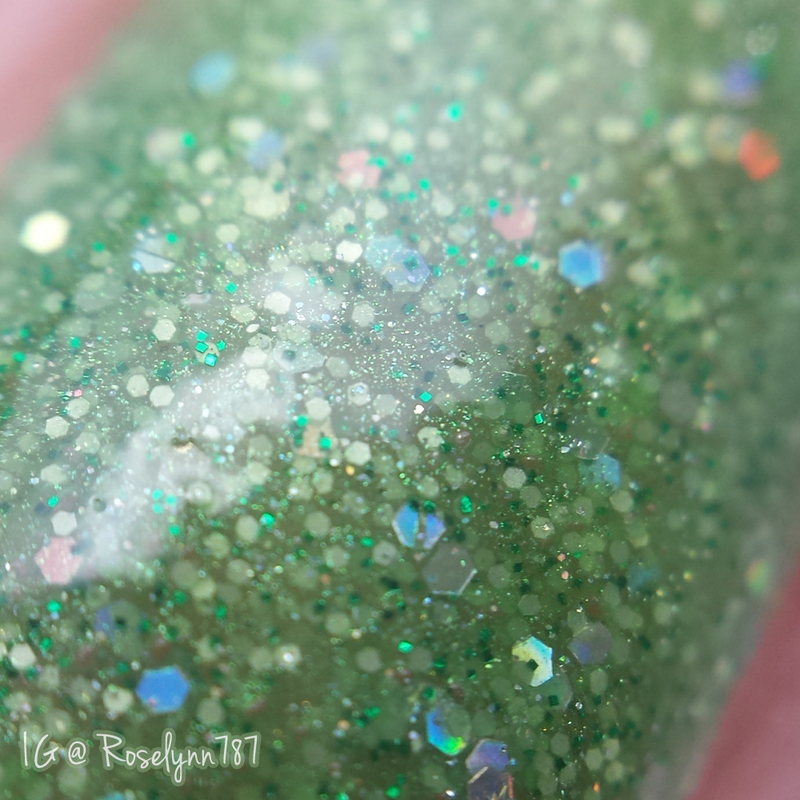 August is a kiwi green glitterbomb, inspired by the August stone Peridot. I'm really a fan of this particular shade, mostly because I didn't have anything similar in my stash. Doesn't it look perfect for Spring? The macro of the glitter combination is stunning! Formula is very easy to work with and apply, just like the rest in the collection. Sheer in one coat, you'll only need two thin coats for an opaque finish. 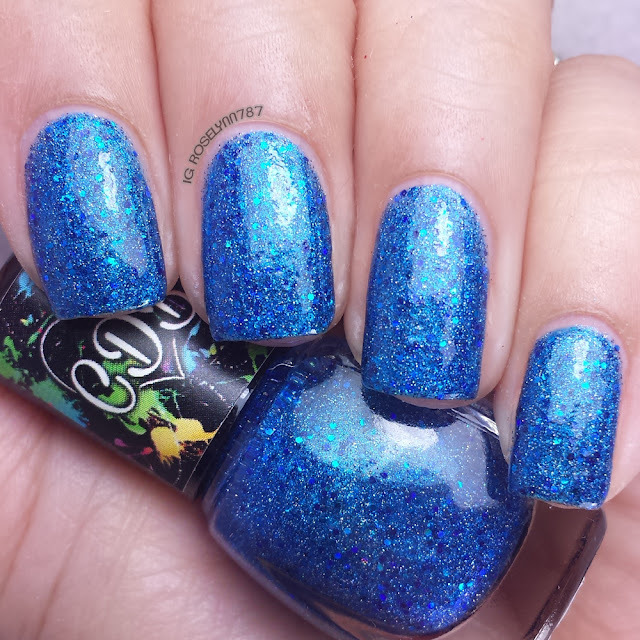 September is a royal blue glitterbomb, inspired by the September stone Sapphire. I'm a fan. I'm more than a fan, I'm downright drooling at this point. So vibrant. It nails the Sapphire stone without a faction of a doubt. I'm picturing this one to look especially beautiful matted as well. Once again, perfect formula and application. For these swatches, I used two thin coats and sealed it off with a fast drying top coat. 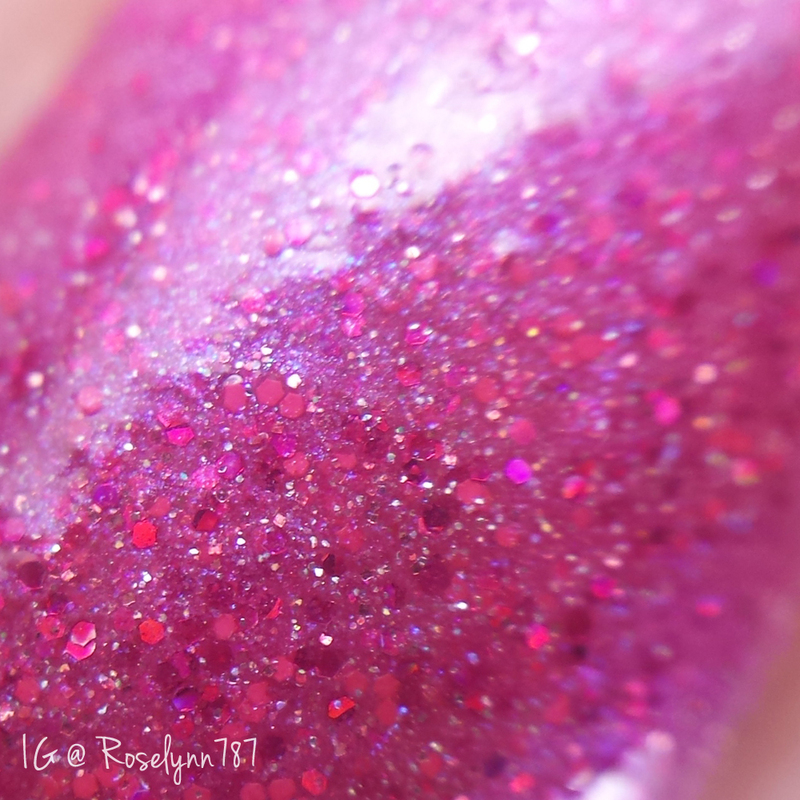 October is a medium pink glitterbomb, inspired by the October stone Tourmaline. Think pink, eh? I know I've said this a few times, but this is another great color for love day. And frankly, just in general. It's a bright pink, without being too in your face. For these swatches, I used two thin coats and sealed them with a thick glossy top coat. 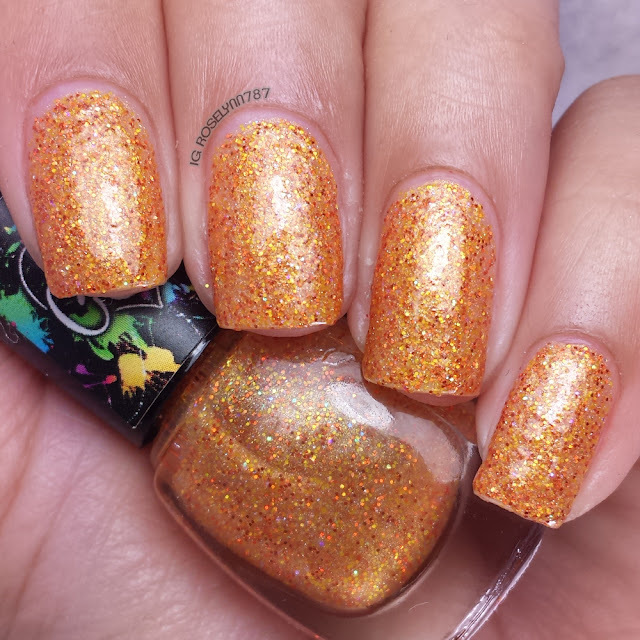 November is an orange glitterbomb, inspired by the November stone Topez. Normally I really dislike the shade of orange, but in this case there is something really striking. Especially in the macro. It reminds me of pumpkin spice, which ironically is perfect for November. The formula remains consistent with the others and builds up smoothly. For these swatches, I used two thin coats and put my glossy top coat to work. 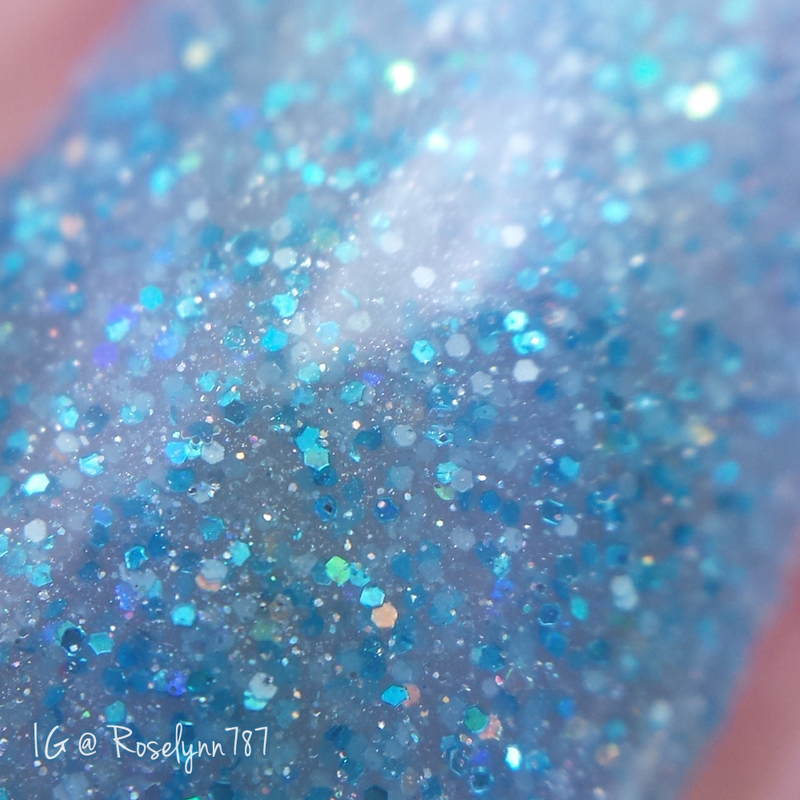 December is a icy blue glitterbomb, inspired by the December stone Zircon. How I wish I would of had this during the holidays. Perfect icy blue. 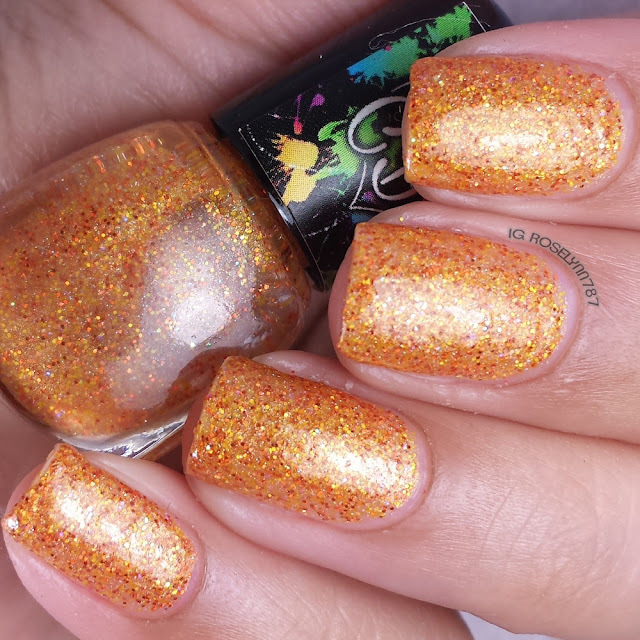 It reminds me a lot of the LE released this month, but of course this is glitter jammed. Like March, this one feels like it would be perfect matted too. Swatcher over a clear base, I used two thin coats and sealed with a top coat. Overall I'm thoroughly impressed and in love with every single one of the colors in this massive collection. 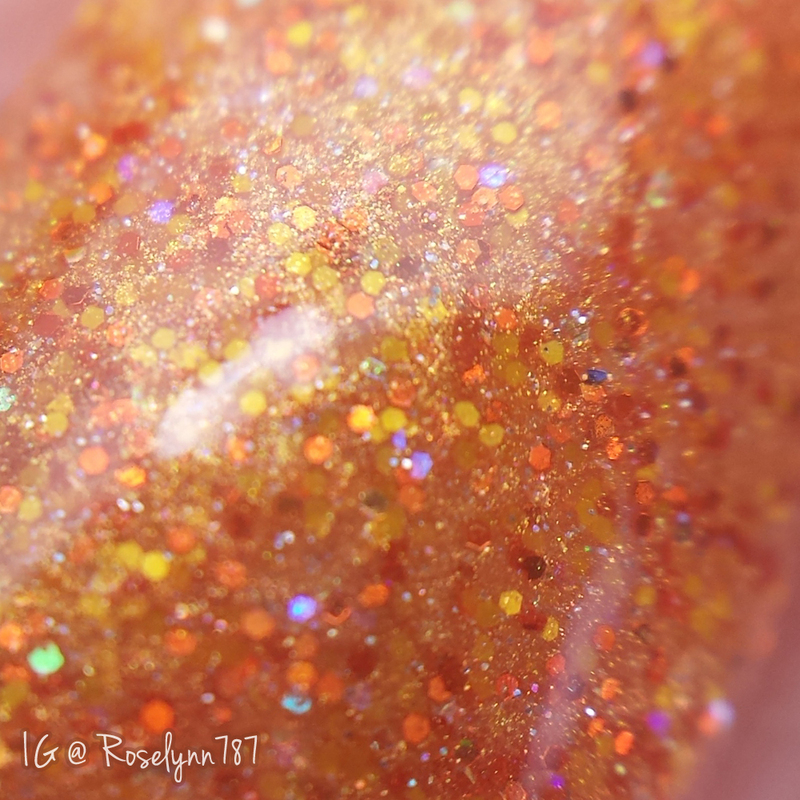 I try and not let myself 'fan-girl' over polishes I'm reviewing, but it really could not be helped in this case. If anything, these polishes speak volumes on their own. Obviously the thing about these polishes that makes me such a fan is the formula. 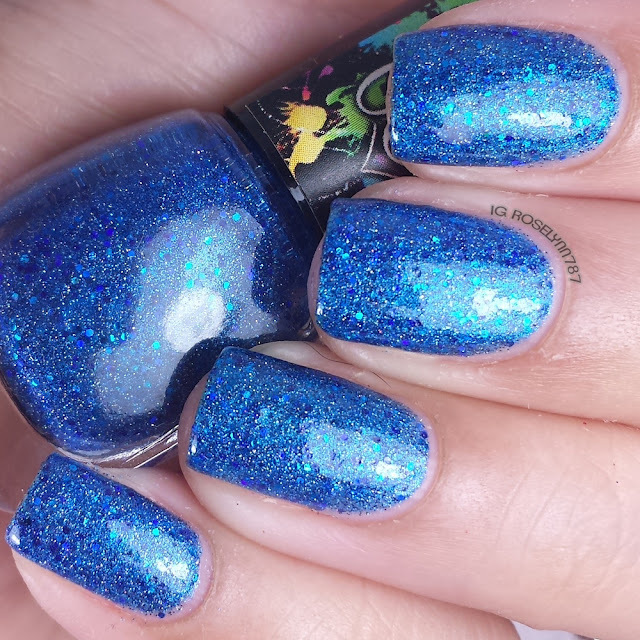 I have honestly not experienced glitter bombs this smooth in quite some time. Only two thin layers for each one gives you a completely opaque finish and ends up drying quite quickly. Whether you decide to pick up your own birthstone or favorite color, you will not be disappointed. The Birthstone Collection by CDB Lacquer has been released today in its entirety. Enabler alert: there is free shipping once you spend $30 or more. So which one will you be picking up? These colors are so pretty! I love the glitters in them! These are all lovely! I love the iridescent glitter! August is my birth month, but out of these I would definitely choose October! Pink FTW! September is the winner for me in this batch! CBD really hit it out of the ballpark with this collection! They are all lovely as are your swatches! Hope you feel better soon! Gah, this half is just as pretty!! I love September and December!! September and December are incredible! ooh I am loving aug, nov and dec! So pretty. Once again I really like ALL of these! My favorite of the entire collection is still June, my birth month, from your previous post, but in this post my favorite would be September!! September and December are beautiful! Great swatches Roselynn!! August and September are my favorites. Lovely swatches!